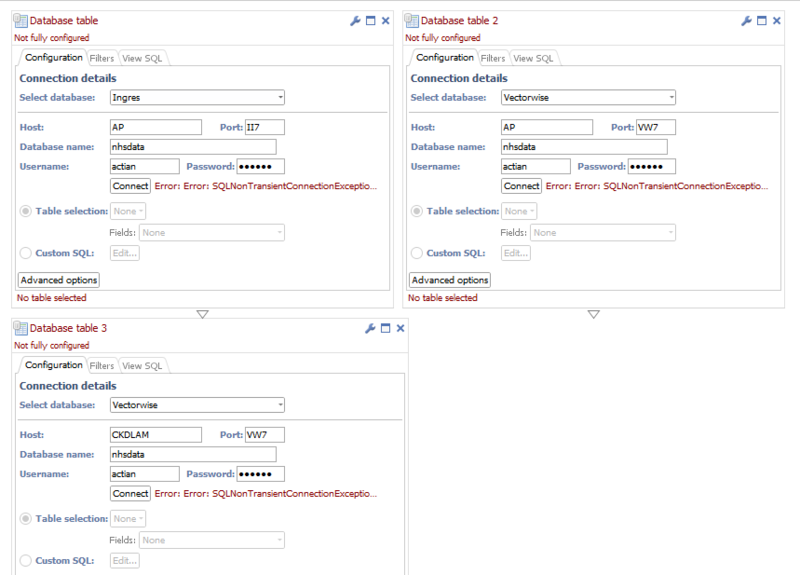 How to configure database connector for Actian Vector? Could anyone outline how they manage to connect to a Vector database via Omniscope for the first time? I've just installed Actian Vector and uploaded a csv data set into a new database table I setup in Actian Director. Now in Omniscope I want to access that database table, so just used the Database table. In the Database table connector block I selected Vectorwise, an error tells me to get a jdbc file. Unzipped this file into my documents and pointed the connector to that jar file. I filled in the Host name, database name default port was VW7 as well as a default username in actian. I'm not sure what steps I am missing but this doesn't seem enough and I just get an error in connecting to the database. Please let me know when you've reported this. Thanks for providing the error report to us. "Communications error while establishing connection"
I don't think this is an Omniscope error, the error report suggests there is some connectivity issue with your Vectorwise database. I've done a quick search online (see: http://community.actian.com/forum/application-development-using-java-odbc-net-openapi-php-etc/1458-communications-error-while-establishing-connection.html) and the suggestion is that the host isn't listening on the instance identifier II7 or the instance hasn't been started. Can you try the fixes suggested in this link? The suggestions hasn't helped, it seemed to be for the older Ingres product and the command just returns a name I've been trying to put into the connector multiple times. Neither does it explain anything about using the visual manager. At this stage I can't really tell if its just the information is wrong or whether the connector is actually sending any information either to the database or being blocked. 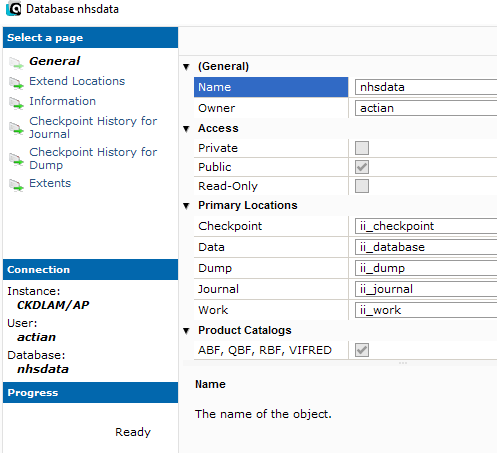 I am able to query the database setup via the Actian director application so I know that the database instance is up. I might try asking their support to since that suggestion is pretty out of date. Is the database on your internal network or on the internet? You can try using another block (such as the website map) to see whether there are any network connectivity issues. If so it may be a proxy problem. If everything seems fine with your network I would suggest contacting Actian and letting them know the error message you are getting and the JDBC driver you are using. It's just a local installation on my laptop for testing. Could you post a screenshot of your connection details? I can't really tell if its just incorrect information like host name, etc. can you try changing host to "localhost"
Can we arrange a quick screenshare? Sure I'll email you a link.